It is recommended for layers to ensure better egg production as well as boost performance. It also improves immunity and prolongs the duration of egg production. 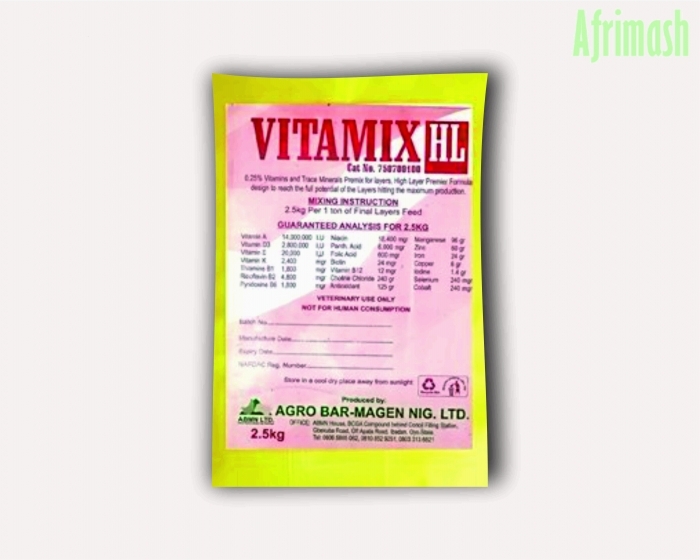 Vitamix HL (High Layer Premix) is a superior mix of vitamin-mineral formula premix specifically produced for layers, to ensure in peak production. Hence, HL formula helps retain body preserves of vitamins and minerals in high producing layers. Furthermore, these ingredients function in the enhancement of egg production and also ensure an increase in egg size. 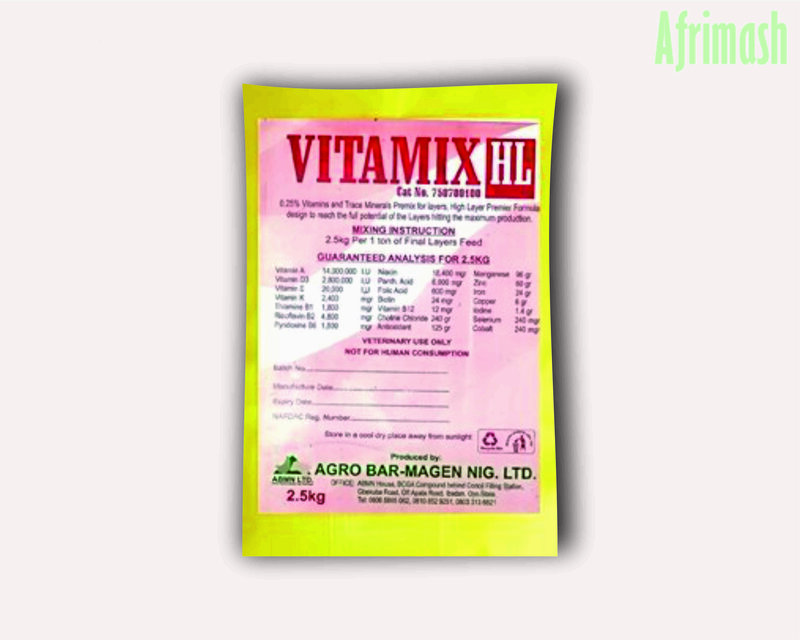 HL superior formula is designed to get the best production performance for an extended period. Boosts production at every stage of production and also improves immunity. Recommended to be used from 16 weeks onwards.